During the fourth quarter of fiscal 2018, its Santa Clara, California-based subsidiary, Comtech Xicom Technology, Inc., which is part of Comtech’s Commercial Solutions segment, received an award of over $20.0 million from a systems integrator for millimeter-wave traveling wave tube amplifiers (TWTAs) to support a new high-speed satellite network. Products will be delivered over the next two fiscal years. Fred Kornberg, President and Chief Executive Officer of Comtech Telecommunications Corp. said that their early investment in a new high-frequency amplifier product has established Comtech Xicom as the market leader for an emergent satellite communications technology. This is the first large scale deployment with this new technology, and they are extremely proud to be selected for this important project. Comtech Xicom Technology, Inc., provider of high-power amplifiers, manufactures a wide variety of tube-based and solid-state power amplifiers for military and commercial satellite uplink applications. The product range encompasses power levels from 8 W to 3 kW, with frequency coverage in sub-bands within the 2 GHz to 52 GHz spectrum. Commercial Solutions segment, was awarded a $1.0 million order to supply solid-state high-power amplifiers (SSPAs) to a military integrator. 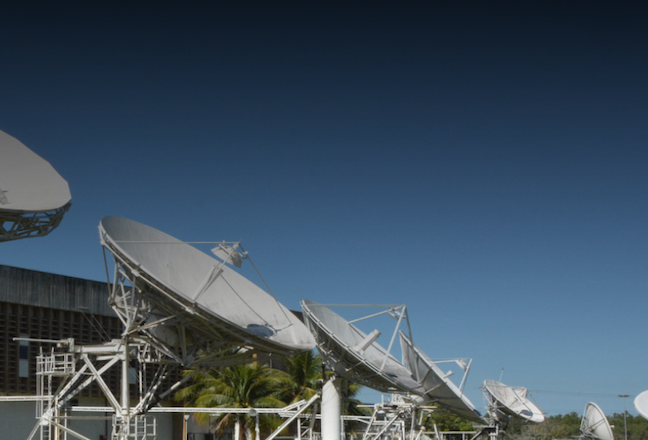 The order is for X-band SSPA products for use in highly mobile satellite communications (SATCOM) systems providing voice, data, video conferencing, internet and high-resolution video connectivity for military forces deployed world-wide. Comtech Xicom’s SSPA products feature robust designs ensuring highly efficient and reliable operation in challenging global environments. Fred Kornberg, President and Chief Executive Officer of Comtech Telecommunications Corp. said that they are pleased to receive this order for these advanced SATCOM amplifiers. 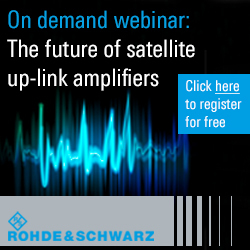 Our SSPA business is growing because our amplifiers are proven to be robust and reliable. They look forward to continued growth in our military amplifier product line. Comtech Xicom Technology, Inc., provider of high-power amplifiers, manufactures a wide variety of tube-based and solid-state power amplifiers for military and commercial satellite uplink applications. The product range encompasses power levels from 8 W to 3 kW, with frequency coverage in sub-bands within the 2 GHz to 51 GHz spectrum. Amplifiers are available for fixed and ground-based, ship-board, and airborne mobile applications. Please visit for more information. Comtech Telecommunications Corp. (NASDAQ:CMTL) announced today that during its fourth quarter of fiscal 2018, its Santa Clara, California-based subsidiary, Comtech Xicom Technology, Inc., which is part of Comtech's Commercial Solutions segment, has received a contract for more than $2.6 million from a domestic military system integrator. This contract is for Ku- and Ka-band high-power traveling wave tube amplifiers (TWTAs) for a transportable satellite communications ground system. Fred Kornberg, President and Chief Executive Officer of Comtech Telecommunications Corp. remarked that Comtech Xicom Technology has a vast portfolio of TWTAs optimized for military applications, and that these amplifiers are highly efficient and compact, representing the best that industry has to offer. He added that military customers can count on Comtech Xicom for high performance and reliability in rugged military environments.